Which means – I just might actually have a pinch of downtime this weekend to start sharing some of the most epic, highlights of last week’s trips to New York City with the girls. And when I say epic – that’s really an understatement. So stay tuned – I can’t wait to share! Tiffany&Co. Gatsby. Robert Downey Jr. Bowery Hotel. Alll the Food. Amazing Friends. Lady Liberty and That Time I Got Day Drunk at a Yankees Game. Damn. 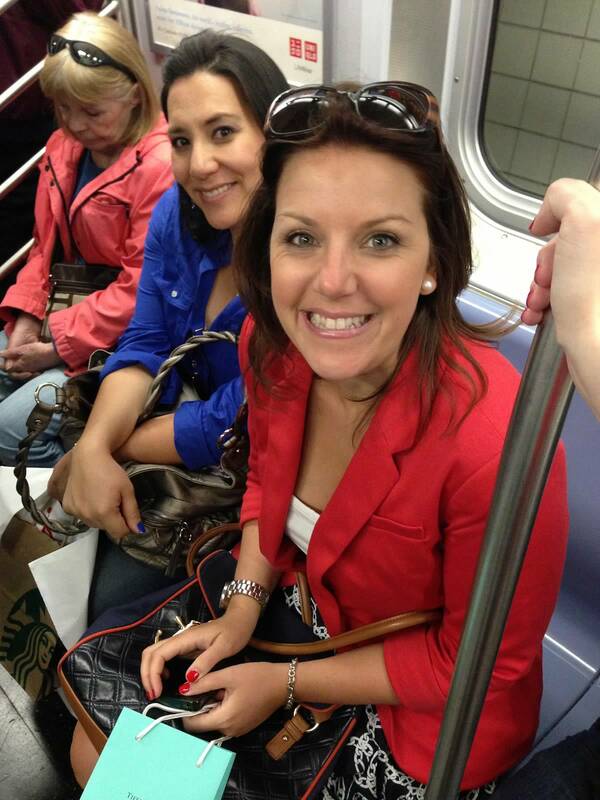 The lady next to Jess has the “locals sleep on the subway” look DOWN! We should’ve taken notes. Dude. I know. We fail, obviously.